Get By (28 min -2015) A look at two recycling workers, Stanley and Milton, as they bring their struggle for a living wage to the legislature, media, and the streets of Ithaca, New York. 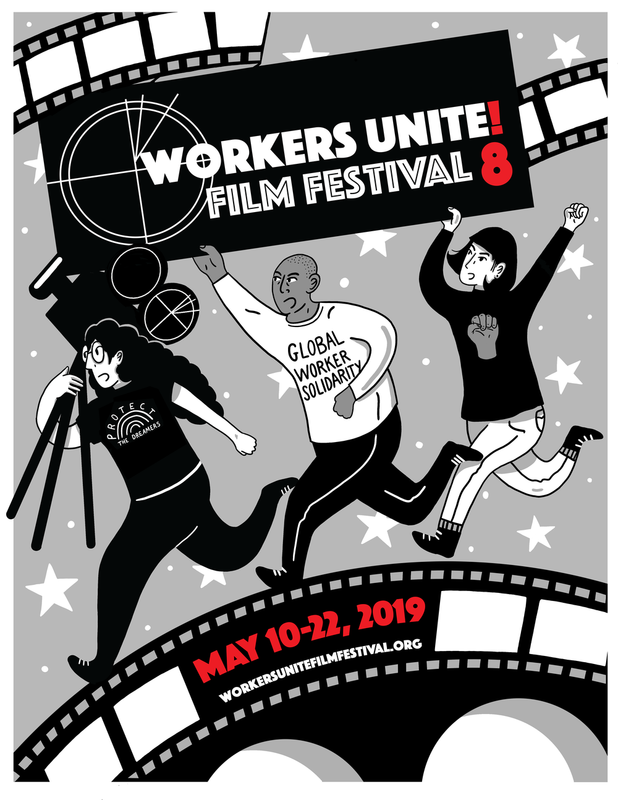 An exploration of worker-community solidarity and urban democracy, the film raises key questions about the value of increasingly privatized work, and the challenges of organizing across divides of race and class. A Day’s Work (60 min-2015) 90 minutes Before he was killed on his first day of work as a temporary employee, 21-year-old Day Davis texted a picture of himself to his girlfriend, excited for their future. Now Day's sister, 17-year-old Antonia, searches for answers. An investigation reveals the issues that led to Day's death and how the $100 billion temporary staffing industry is putting millions of American workers at risk. The screenings are followed by a discussion with Charlene Obernauer (Executive Director, NYCOSH), Dave DeSario (Executive Producer of the film & Alliance for the American Temporary Workforce Executive Director), Lou Kimmel (New Labor) & film's main subject and narrator Nia Washington.